A dental implant is by far the best solution for single tooth replacement. The traditional method to replace a single tooth and to close the gap between two teeth is by a dental bridge or a small partial denture. To install a dental bridge requires cutting into two good teeth for the support of the bridge. In the case of a dental implant, the procedure only requires placing an implant in the jawbone of the missing tooth without having to prepare nor cut the neighbouring teeth. This is much superior to a normal dental bridge and results prove to be more predictable and satisfactory. We all hold the view that our front teeth are most important in presenting ourselves in public. Some people can quite happily have their molars missing for a long period of time, but when it comes to the front teeth, they want to keep on trying to “save” them. We therefore try very hard to make sure they are kept in good shape. However, for various reasons, sometimes one cannot avoid but to lose them. A failed root canal treatment; a fractured root; a fracture of a repeatedly filled tooth or from the result of any accident are the main reasons that we need to extract the front tooth/teeth. 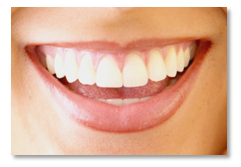 The biggest advantage of an implant single tooth replacement will give the result of a complete natural look. The planning and the procedures must be thorough and precise in order to achieve this result. The practitioner’s experience is vital. 1. The most important issue is cosmetic concerns. How much teeth are showing with a big smile? For people who have big wide smiles with more teeth and gums showing, demand for cosmetic considerations that provide tooth replacements are even more critical. At Bondi Dental our reputable doctors, Dr. Andrew Sih and Dr. Terry Yuen are proficient and reliable, and can provide you with the most satisfactory treatments in terms of function and aesthetics with dental implants. Is there enough bone for the implant to be placed? If not, bone grafting may be required to allow the operation to be successful. The whole procedure will take between six months to one year (if bone grafting is required) to complete. There are several ways to keep the “gap” closed while the process takes its course, each option will be discussed with relative cost. This procedure—known as a dental implant—is done in a suitable environment, and is by far the better treatment option for single tooth replacement/ front tooth. The fees will therefore vary from $5000 to $6500 for the total procedure depending on the type of temporary placements and whether bone grafting is required. If the back teeth are lost for whatever reason, the empty spaces created should not be left without some form of replacement. Even though they may not be cosmetically important, and are not causing immediate functioning (chewing) difficulties, they may cause long term damages in months or years to come. Partial denture and bridges were the traditional treatment options to regain the integrity of the dental arch. A lot of patients do not entertain the idea of having removable dentures in their mouth and in other cases, if all the back teeth are missing, bridges are an impossible option all together. Other limitations of the partial denture and bridges are discussed elsewhere in this web site. To replace a missing single upper back tooth presents some slightly different problems to that in the lower jaw. This is mainly due to the different bone density and the anatomy of the two jaws. The upper jaw (maxilla) bone is usually less dense. 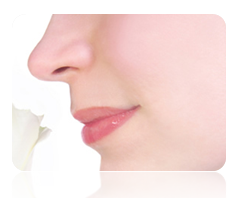 The sinus will sometimes play a roll in the placement of the implant. Bone grafting and sinus lift may be required to ensure the success of the operation before placing the implant. 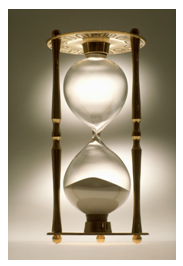 Longer time is required to allow the implant to “set” in the bone before the final implant crown can be placed. The lower jaw (mandible) bone is usually quite dense. 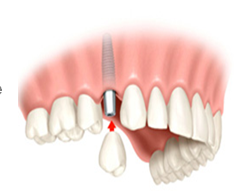 The implant placement normally does not need as long time as the one in the upper jaw to “set”. Therefore the final implant crown can be placed and finished sooner. Because the back tooth usually does not require any temporary for cosmetic reason, the cost for the back tooth implant can be slightly less compared with the Single tooth replacement/ front tooth. The fees will therefore vary from $5000 to $6000, depending whether bone grafting is required. 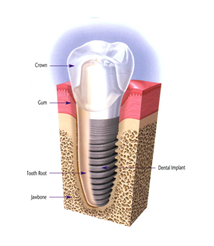 If you require a dental implant to replace a missing tooth, call Bondi Dental in Sydney at 1 300 988 010 now. Any surgical or invasive procedure carries risks. Before proceeding, you should seek a second opinion from appropriately qualified health practitioner.